Keep up with my Snapchat story! 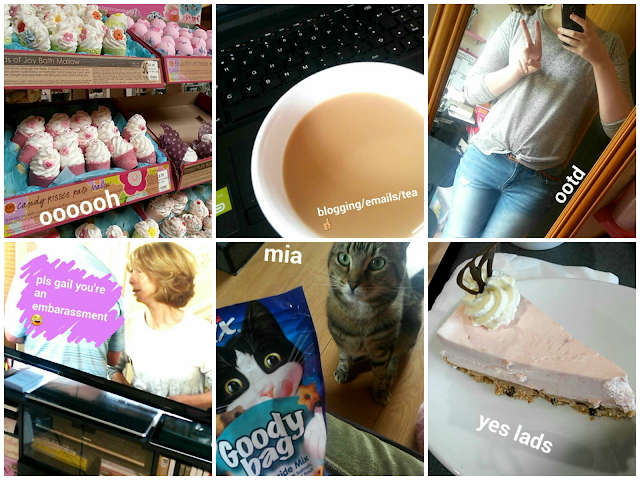 Last week I blogged about life without a smartphone, this week I'm loving Snapchat and updating my story! Yep, I've made myself a new account and I'm snapping away - it's a fun way of instantly vlogging! So far we've been to Pets At Home, M&S and Dobbie's and I've captured it all in my story. There are of course gonna be times when I'm just chilling at home with Mia so expect no makeup sing-songs sooner or later! I'd love for you to join me & let this be a new way to connect! So if you'd like to keep up with my Summer adventures, add me on Snapchat! Get involved in the comments below and share your usernames if you'd like to!